This is the last article in a three-part series exploring the need and means to achieve improvement in aseptic processing of sterile biopharmaceutical products. Part 1 presented the current state and opportunity for improvement via the use of innovative technology. Part 2 further discussed some of the changes in strategy that may be necessary for — and result from — the use and improvement of technology. In Part 3, we explore the impact of technology changes. Using new and existing technologies to improve aseptic processing manufacturing may provide the need and opportunity for new approaches to process control and monitoring. In some cases, improvements to these approaches will require the use of existing technology. In other cases, they will be required to support the implementation and use of new technology. The remainder of this article explores changes that are likely to manifest as newer technology is introduced. Isolators and closed RABS (restricted access barrier systems) are recognized as the desired state of contamination control. They are considered advanced aseptic manufacturing technology and have been in use for some time. Properly designed and operated isolators are better than conventional lines. Improperly designed and operated isolators may not be. Following are changes in design, operation, and control that would help ensure better isolator performance. Operations and microbiology personnel should play a pivotal role in the development of useful user requirement specifications for designers and suppliers of isolators to follow during the design phase. Isolators by their nature are confined, relatively complex manufacturing environments that present challenges to manual activities, interventions, decontamination, material transfer, and work flow. Operations people understand the unique needs for user- and process-friendly designs, including the placement of glove ports, access to interior equipment and parts, and ergonomic intervention designs. Microbiologists recognize the requirements and benefit of design features that minimize sources of contamination, including useful and accessible environmental monitoring sites, component access, and decontamination system features. The recognition of proper aseptic technique remains important. Gloves and glove ports as currently designed may be difficult to decontaminate. Even where decontamination methods are effective, isolator interiors/gloves are not considered sterile. The lack of dexterity makes personnel movement a challenge, especially where operators wear cleanroom gloves on their hands prior to using isolator gloves. It is often a challenge to place one’s hands in isolator gloves without compromising first air. Adding to the challenge, glove ports cannot be adjusted, so operators of certain heights may find using them more cumbersome. Glove ports should be reduced or carefully positioned to enable optimal operator use and minimize the risk of contamination. Isolators and isolator operations should be designed to reduce or eliminate gloves, or to less critical operations. Despite the barrier properties of isolators, gloved interventions may pose a risk to sterile product, because 1) isolator gloves are decontaminated, but not sterilized, 2) gloved activities can disrupt airflow and create turbulence, and 3) gloves and interventions are at times performed near or above exposed product or product contact surfaces. It is important to remember that interventions performed through glove ports in successful aseptic process simulations do not ensure the absence of failures nor validate the intervention. Efforts should be made to ensure holes in isolator gloves are prevented, not merely detected. Glove materials and design make the gloves relatively easy to pierce and develop pinhole leaks. Non-integral gloves represent the failure of a major contamination control strategy element. The answer to this issue should not be to find better ways to detect leaks, but to identifying the means to eliminate leaks or eliminate gloves altogether. Gloveless isolators and isolators with full automation should be considered as an improvement in isolator design and utility. However, to fully embrace the advantages of gloveless automated isolators changes in several traditional process control and monitoring methods must be considered. For example, the placement and replacement of air settling plates and in-process surface monitoring. Some health authority representatives still expect settling plate placement and periodic changing throughout the use of the isolator. This becomes problematic in gloveless isolators where access to these plates is difficult and may require installation of glove ports and other access systems, as well as environmental monitoring interventions. These factors combined negate the advantage of the gloveless/automated isolator. Generally, intrusive environmental monitoring methods and activities should be evaluated for risk and benefit and designed to fit the process. In many isolator operations, environmental monitoring represents a significant percentage of interventions that occur in the isolator as a result of environmental monitoring material or instrument placement or sampling. Companies and regulators should assess whether the additional risk posed by these methods outweighs the benefit of this monitoring. Any and all surfaces exposed in the isolator environment should be free of microbiological contamination. All interior surfaces, materials transferred into the isolator, gloves and glove ports, components, transfer stations, equipment, and parts should be free of microbiological contamination. Some isolator designs do not allow for in-place sterilization of these surfaces using vapor phase hydrogen peroxide or other gaseous/vapor methods. Some of this is due to airflow, temperature changes, condensate formation, surface blockage, materials, and spore occlusion. Isolator interiors should be designed to be sterilized or decontaminated to the point where these surfaces cannot contaminate sterile product. Where design or other issues exist that make sterilization or decontamination processes difficult, those issues should be eliminated. If companies choose to decontaminate the interior of the isolator, rather than sterilize, then decontamination should be defined and used as a process that renders surfaces within the isolator incapable of contamination. Where surfaces that have not been decontaminated are exposed during operation or repair, the aseptic filling operation should be considered as potentially compromised and the risk of product contamination addressed. To the extent that aseptic processing involves human intervention, it should be recognized that human performance will always be a variable. Adding to the issue are the conflicting objectives cleanroom personnel face, such as the conflict between getting the work out vs. complying with procedures and policies. Because getting the work out is easier to measure and correlate to an outcome, it can be tempting to avoid strict compliance. To address this, operator training should focus not only on how to perform a procedure, but on why that procedure is in place and the consequences of not performing it correctly. Risk assessments and evaluations of aseptic process design should include those personnel who will perform the process steps and operation. Processes should be designed to be operator friendly or to eliminate potentially risky activities. Advanced therapy medicinal product (ATMP), cell and gene therapy, and personalized medicine manufacturing represent new and different uses for aseptic processing. This manufacturing is not necessarily manual filling, but it does involve open manual manipulation and interventions. The principles of good aseptic technique are applicable and in some cases even more critical. However, there may need to be modifications to the guidance for aseptic processing, given some of the unique aspects and concerns of these processes and products. The aseptic manipulations and filling should be performed in closed-barrier systems, using automation where possible. And scientifically sound, risk based alternate approaches to traditional personnel qualification should be considered. Today a limiting factor to production of the ATMP, cell and gene therapy, and personalized medicine products is the difficulty in finding competent and qualified operators. In addition, where manual manipulations and interventions are still needed, alternative methods for cleanroom personnel qualification will be necessary. These approaches to personnel qualification should focus on the ability to perform job functions, rather than performance in aseptic process simulations. 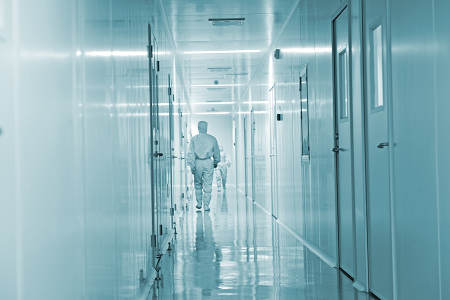 In a traditional cleanroom personnel qualification approach, cleanroom personnel receive background training, including basic GMP, microbiology, and task-related training. Cleanroom personnel then participate in aseptic process simulations, performing interventions like those they will perform in operations. Personnel and interventions are then deemed qualified through their performance during successful aseptic process simulations. This method unnecessarily intertwines personnel and process qualification, resulting in a burdensome, time-consuming, and ineffective approach. With an alternative cleanroom personnel qualification approach, cleanroom personnel receive background training, including basic GMP, microbiology, and task-related training. 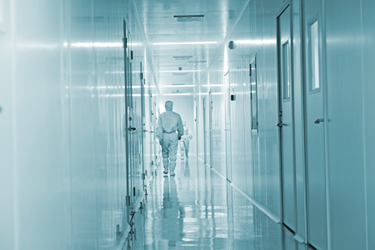 Cleanroom personnel are trained and qualified to perform a set of similar interventions. The aseptic process simulation part of the aseptic process qualification is then run using qualified cleanroom personnel performing process tasks and interventions. This approach separates personnel and process qualification. This allows for qualification of personnel, as they are needed, without risking the production process or affecting the production schedule. Continuous process manufacturing has been used in the manufacture of non-sterile drug substances, active pharmaceutical ingredients (APIs), and solid dosage forms for some time. Many of the principles developed for the continuous manufacturing of non-sterile products can be considered for aseptic processing. Aseptic spray drying can be used to prepare sterile drug substances. Long-term campaigns can be used to continuously process and fill sterile products. Closed and reduced critical space environments can be used to contain and reduce the risk of contamination during long-duration product fills. Greater use of continuous processing can reduce errors resulting from changeover, line clearance and setup, and related personnel interventions. Continuous, rapid, and real-time environment monitoring and reporting can help assure process control. Post-aseptic process lethal treatments and lower temperature terminal sterilization can be continuous and would provide further sterility assurance and reduction of contamination risk. Using continuous aseptic process manufacturing presents challenges, including blurring the definition of batch and lot identity. Today, process validation of batch-based manufacturing focuses largely on the inter-batch and intra-batch variability through statistically based sampling strategies. As the industry moves to more continuous process manufacturing, the definition of a batch will change or become irrelevant altogether. Instead, companies will choose to focus on the performance of the control systems in place to monitor and control the continuous process, as well as the accuracy and precision of the data upon which those controls operate. Linked data monitoring and process control systems, such as PAT (process analytical technology), that adjust process parameters to maintain product attributes could be used to further ensure process reliability. The lack of defined batch boundaries will require a greater reliance on process control systems and monitoring to assure product quality. Process validation will shift from a product sampling and testing approach to a more robust system instrumentation and performance qualification approach. The use of automated continuous systems may also result in the identification of process control and monitoring parameters with stronger correlation to product quality, thus enabling the consideration of real time, parametric release strategies. Aseptic processing continues to be an essential method of manufacturing sterile biopharmaceutical products. Improving aseptic processing is crucial to the achievement of product quality, product availability, affordability, and patient health. The industry currently lags other industries in the use of new technologies to facilitate improvement. We acknowledge there are real challenges and obstacles to the adoption of technology in the biopharmaceutical industry. However, there have never been better reasons and means to meet and address these challenges. To accomplish the objective of true process improvement, the industry must be willing to adopt new approaches to the use of technology, process control strategies, and decision making. Using critical thinking and quality risk management principles will assist recognition of, and the justification for, science-based technology solutions. Traditional methods for designing, validating, operating, and monitoring aseptic process manufacturing operations must be reevaluated and, where these evaluations warrant, modified or replaced with new, more effective approaches. Proper process design and predictive process metrics should be the primary means to ensure process control and product quality, rather than a reliance on pass-fail test results and prescriptive limits. The development and optimal use of technology to improve aseptic processing will result from a true partnership of all key stakeholders, including users, suppliers, and regulators. But to do so, each must recognize and work within their specific roles. Users should focus on identifying their needs, suppliers on meeting those needs, and regulators on judging whether those needs are appropriately met. Hal Baseman, COO and a principal at ValSource, LLC, has over 40 years of experience in pharmaceutical operations, validation, and regulatory compliance. He has held positions in executive management and technical operations at several drug manufacturing and consulting firms. He is the former Chair of the PDA Board of Directors, former Chair of the PDA Science Advisory Board, former Co-leader of the PDA Process Validation Interest Group, and Co-leader of the PDA Aseptic Processing Points to Consider and Annex 1 revision Commenting task forces, as well as a long-time member of the PDA Training Research Institute faculty. Baseman holds an MBA in management from LaSalle University and a B.S. in biology from Ursinus College. He can be reached at hbaseman@valsource.com.